Even if dancers aren’t pointe novices, often there are still things to learn about caring for dance shoes, pointe shoes in particular. If you are new to pointe work for the new year, start as you mean to go on and ensure your shoes are cared for in the best possible way. When you buy new dance shoes it is very tempting to put them away in the small plastic bag they were purchased in, to eke out the time that they are still ‘new’. This, however, means the shoes cannot dry out sufficiently after use and may begin to prematurely decompose. Plus, you may come to put them on for your next class and they may still be damp and clammy, which means your feet aren’t receiving the best treatment either. Keep your shoes cool and dry, after having aired them after use. As one of dancers’ main essentials, dance shoes require proper care to provide maximum support and protection for your feet, as well as meaning you can perform to the best of your ability. Make sure you are wearing your shoes correctly too: pointe shoes should be worn with tights and possibly toe pads, rather than socks, and socks should be worn with tap and jazz shoes to help prevent the growth of bacteria. Be careful too when you’re putting on your shoes, as for more delicate shoes in particular, their life span is affected by how you put them on and take them off. Don’t dance in broken shoes, as this can have serious consequences in the form of injuries. If you need to clean your shoes, make sure you do so depending on the shoe that needs the care. Canvas shoes can be washed in the washing machine, but not tumble dried as they may shrink. A shoe brush on suede-bottom shoes will keep them clean and help maintain their texture, but don’t wear your dance shoes outside. Not only will they get dirty, but it can damage the soles too. Dance students new to pointe are always excited to get going, inspired by what they have seen through their dance training so far. Watching older students or favourite ballerinas dancing en pointe is often an enamouring experience, and now it is the turn of the younger students to get their first pair of pointe shoes. Dancers who are not training at vocational dance schools usually are allowed to begin pointe in their early teens, due to the development of their bones and ultimately, their classical technique. Other factors which must also be considered are the regularity of attendance to ballet classes and a teacher’s approval, and it is paramount that each dancer is professionally fitted for pointe shoes. Often being en pointe doesn’t feel as dainty as young dancers may have thought. Stepping onto pointe for the first time is uncomfortable, but is not a reason to be discouraged. Even minor discomfort is normal as dancers get used to the sensation of pointe, and they get stronger by practising their technique and not rushing the process. Extreme pain is a good indicator that a shoe has not been properly recommended or fitted for the student’s individual needs, and if manually breaking in the shoes has not happened. To make the time en pointe more comfortable (and more enjoyable!) there are a few things that dancers can do. Strong abdominals are vital for pointe work, as it is a strong core that will help dancers lift their weight out of their shoes. Also important is correct body placement and flexibility in the ankle and foot, which must be built up before and during pointe training. This is primarily done through learning to roll up onto pointe and down through the shoes. Ultimately, dancers must take good care of their feet, as well as their shoes by airing them between lessons to prevent fungus and bacteria growth. Don’t give up, and approach a teacher or studio director if something feels wrong. The interview sofa: discover useful expert knowledge from dance stars with interviews on the latest dance topics with guests including Darcey Bussell CBE, Strictly Come Dancing judge and Prima Ballerina. Darcey will answer questions, pass on invaluable tips and talk about her work as President of the Royal Academy of Dance. The main stage: this central performance area is THE destination for live dance, with performances from the UK’s biggest dance stars and fresh new talents from all over the UK including Lukas McFarlane (presented by Beautiful Movements), Boy Blue, the English National Ballet Youth Company, the cast of West End show STOMP, BalletBoyz, and the Royal Academy of Dance. Tasters and masterclasses: over 220 dance classes in a huge range of styles are available to try, open to budding dancers, enthusiasts and professionals. Masterclasses are taught by some of the UK’s leading choreographers and dance experts from the worlds of hip hop, ballet and contemporary, and will host a series of intensive dance lessons for those wishing to progress and take their skills to the next level. MOVE IT still has much more to offer! Catch the latest spins, freezes, flips, shimmies and dance moves live on the Freestyle Stage in a showcase of raw talent. Bag the latest trends in dancewear at the range of retail stands and top up on your careers advice at MOVE IT to find out everything about the dance industry and community from experts, workshops and every major performing arts university/colleges under one roof. MOVE IT, the ultimate dance experience, is the UK’s biggest dance event, and since its inception has welcomed 20,000 dance fans to share their passion for dance in one huge celebration. 2013 saw MOVE IT take place from 8-10 March, and the event presented fantastic performances by dance schools and colleges, great opportunities for dancewear shopping, an array of over 200 classes to take part in, and even some very special guests on the stage and on the Interview Sofa. These included Twist and Pulse, the winner of the first series of So You Think You Can Dance Charlie Bruce, Got to Dance judge and former Pussycat Doll Kimberley Wyatt, Principal of English National Ballet Daria Klimentova, a special performance by Wayne McGregor | Random Dance and even former prima ballerina and newly appointed Royal Academy of Dance President Darcey Bussell. Dance and ballet enthusiasts had the chance to hear her talk about her work with the RAD and what the year ahead has in store. 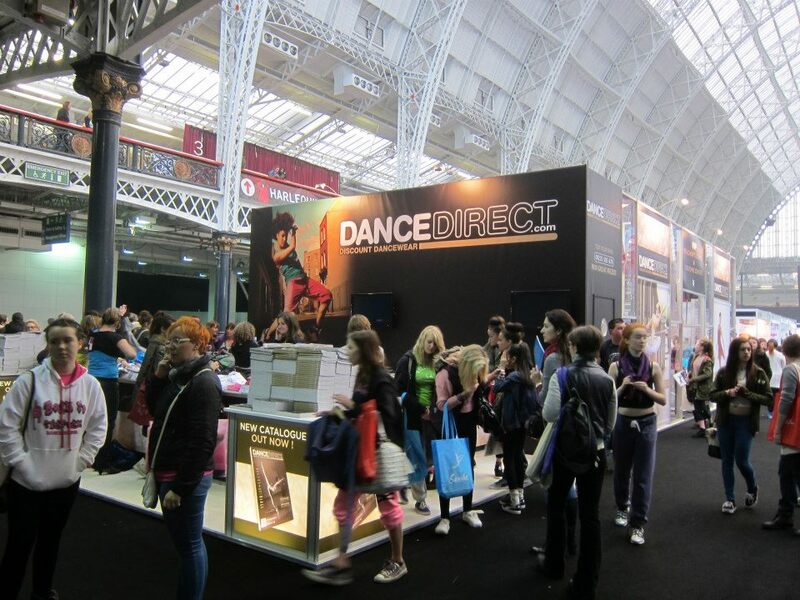 The Dance Direct stand was busy throughout the weekend, with dance fans, students and teachers eager to snap up the latest dancewear and dance shoe fashions. 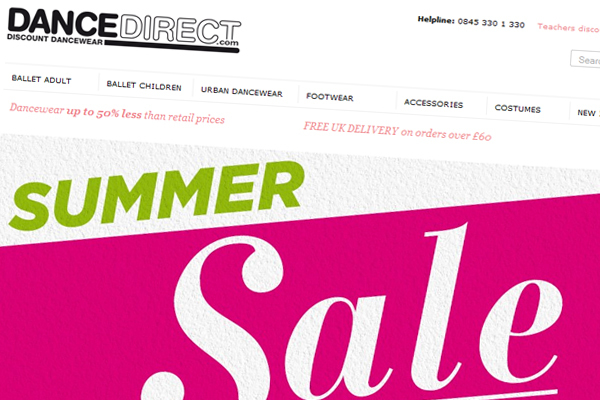 From leotards, to new tights, to ballet shoes, jazz pants, hoodies and t-shirts, Dance Direct look sure to be clothing most of the dance population for the year ahead! The Dance Direct team also had lots of new Dance Direct catalogues to give out to the dance-hungry crowd, and gave out vouchers of different values to winners who texted in their email addresses and free water bottles to keen tweeters. Teachers had the opportunity to join the team to learn about Dance Direct’s new costume ranges, with lots of sparkling tutus and costumes on display around the area! MOVE IT will next take place from 7-9 March 2014.